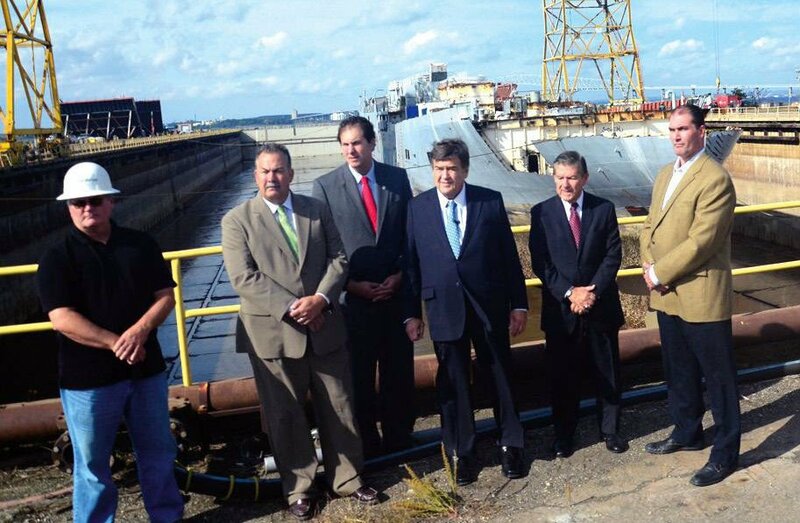 Officials touted new jobs at the Sparrows Point Shipyard after BB Metals was awarded a contract to dismantle the USNS Range Sentinel in 2012. The World War II-era USNS Range Sentinel was dismantled at the Sparrows Point Shipyard in 2012. Tradepoint Atlantic, developer of the former steel mill site at Sparrows Point, has purchased the adjacent Sparrows Point Shipyard for $33.5 million. Tradepoint announced Monday that it plans to use the added assets, which include barge and vessel berths, a graving dock and 225,000-plus square feet of warehouse space, to bolster its port operations. “The property will be fully utilized to maximize the economic impact potential outlined within Tradepoint Atlantic’s master plan, which projects nearly 17,000 jobs generated for the Maryland economy,” company officials noted. Tradepoint officials touted the acquisition in a statement on Monday. The acquisition of the shipyard is the latest move in Tradepoints series of plans designed to strengthen its marine operations. In March, Baltimore County was awarded a $20 million federal TIGER grant that will go toward upgrading the port faciltiies at Tradepoint. Planned work includes upgrades to the site’s East-West Berth, improvements to the bulkhead, dredging of the turning basin and approach channel and the installation of a new crane rail system to allow cargo to be moved more easily. Those improvements are slated to take four years to complete.